Here I am again, finally ready to make another blog, yet it’s not even about gaming. Well... not really. I’m finding it really hard to play games like I used to, and this time I don’t even entirely have the excuse of being busy. I am majoring in Computer Science so I can one day live the dream of working with an awesome team of game developers and make the same games I enjoy playing. However, it’s hard to stay inspired when your radar is barely even on gaming. At least before I would read about games when I wasn’t around to play them. Now with 1up and game journalism in general lacking, even that’s getting harder to do. I’m trying to find the silver lining in all of this yet... my mind constantly shifts to other things. 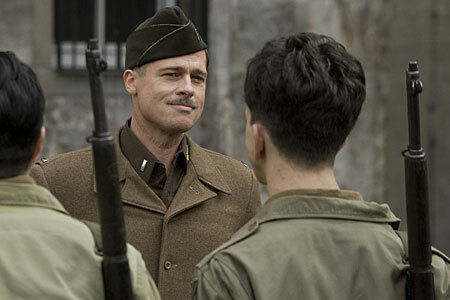 I watched District 9 and Inglorious Basterds. They are the only new movies I’ve seen recently and arguably up there with the best movies of the year. However, this is a gaming community, and always has been for me, so I’m usually reluctant to post anything unrelated. Really, when I try to talk about movies, I find I can’t say anything more than “Awesome.” Or “Intense.” Still, thinking about this made me remember how a passionate moviegoer might think of gamers (Roger Ebert is the stereotype I’m going with here). Are gamer communities anything more than loners typing in their basement? Then I came to the funny conclusion: Movie watching is actually more solitary than gaming. I know some people might be outraged by this notion, but just because you go to movies with a friend doesn’t mean you are actually socializing. If you truly care about the movies you watch, how much do you actually talk to your buddy beside you while the movie plays? How many times have you been completely wrapped in a movie and not even realizing until the end your friend wasn’t enjoying it at all? For most great movies, little is going through my mind than my own personal thoughts and experiences connecting with the movie. Now the obvious exception to this would be comedies, where most will laugh along and chat with their friends, but there are exceptions to every rule. The easiest example of socializing in gaming is multiplayer. Frankly, if you’re not communicating in some way to the other players, you’re not reaping the full benefits of multiplayer. Unless you prefer playing against mindless drones like in single-player games. Of course, not all games have a multiplayer component, but generally in my experience, I still share my thoughts on these games more often than movies (but that’s a pretty grey area and I’ll disregard that). 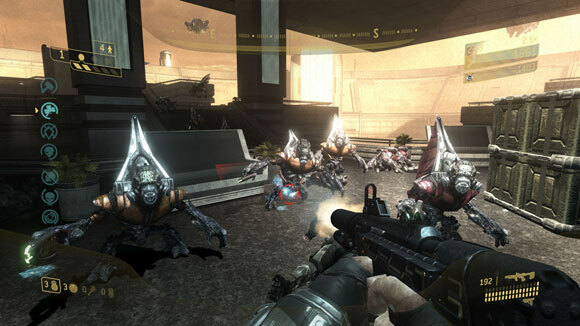 Then there is combining single and multiplayer – think Co-Op or Halo 3: ODST’s Firefight. Playing Firefight in fact (and Gears of War 2’s Horde mode), I realized most of my fun was pulling off successful teamwork and just laughing along with the funny things we see. So actually: movies are more solitary than multiplayer games. Regardless, going to the movies will always be the preferred venue when bored on a weekend. Those are my thoughts; feel free to refute them if you think I jumped the shark. Also, just because I think movies are more solitary than multiplayer games, it doesn’t mean I think there are more loners who watch movies; it’s pretty obvious games tend to attract a lonelier type of people. Sitting in front of the TV playing Halo for hours on end is still kind of sad, even if you are socializing in some way. I got sidetracked again didn’t I? Though, like I said, I do have other things on my mind. Most of the rest of my time is spent doing homework, listening to loads of new music, working (or my strange fascination with riding air-conditioned buses)... I had something to say here didn’t I? Finding a silver lining? Right, I better get on that.